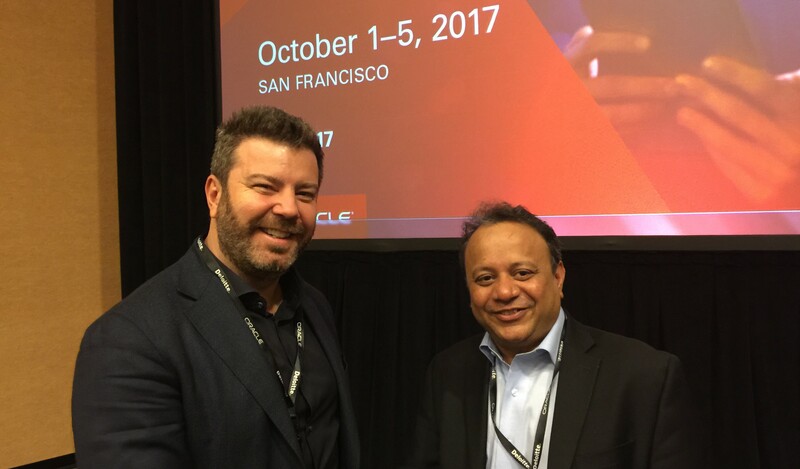 Earlier today at Oracle OpenWorld 2017, Vikas Anand, vice president of product management at Oracle, was joined by UiPath’s Founder and CEO, Daniel Dines, to unveil that the companies are teaming to accelerate the adoption of Robotic Process Automation (RPA). They announced that the companies will be teaming on both go-to-market and co-selling. Oracle selected UiPath after a deep technical and business evaluation of RPA software providers. UiPath’s open and extensible architecture and capabilities for attended and unattended software robots was key to Oracle’s selection. UiPath’s ability to easily capture business processes and give totally new insights into productivity, applications and processes was critical. Together, Oracle and UiPath will enable digital business operations at scale faster. During his presentation, Anand emphasized that Oracle was attacking three key market disruptions and one of these disruptions is RPA. The companies will provide further details on how customers and partners can benefit from the collaboration. UiPath is also proud to announce that Oracle will be a sponsor of UiPath Forward, UiPath’s global user conference tour, including New York on November 16 and London on November 30. During the event, Dines indicated that this is only the beginning of what will be a long-term and successful collaboration with Oracle.